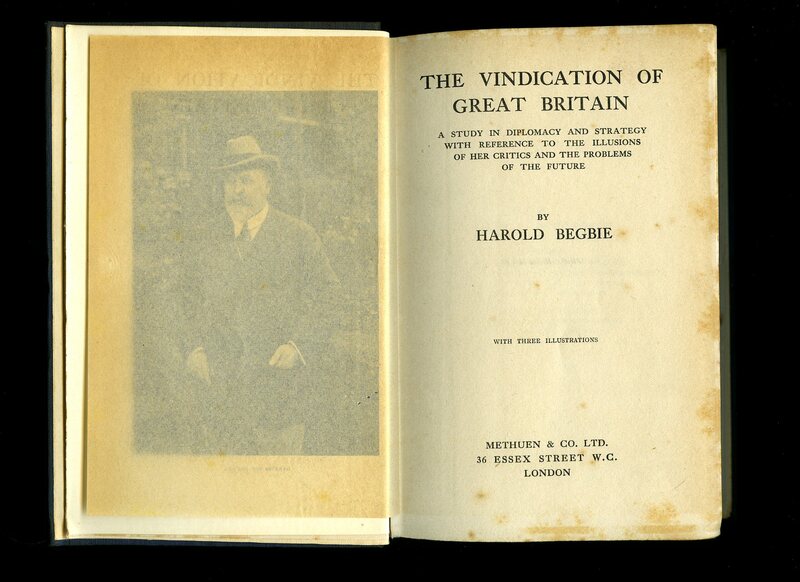 Published by Hodder and Stoughton Ltd., London First Edition 1919. 1919. First edition hard back binding in publisher's original duck egg cloth covers, black title and author lettering to the spine. 8vo. 7½'' x 5¼''. Contains 236 printed pages of text. Sun bleached covers with rubs to the spine tips, age darkened spine, ink names and address to the front paste down, coloured crayon address to the rear free end paper, age darkened page edges, no dust wrapper. Member of the P.B.F.A. Published by Blackie & Son Ltd., 50 Old Bailey, London circa 1920 edition not stated. 1920. 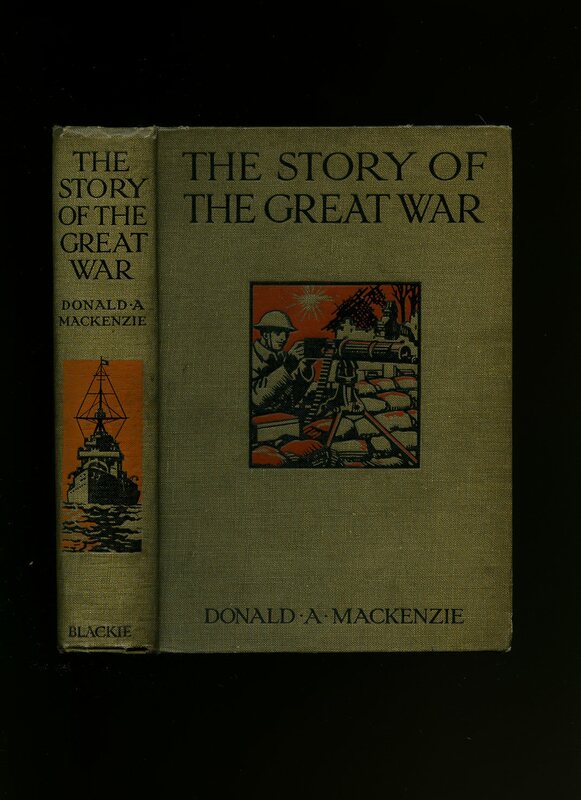 Hard back decorated brown cloth covers, black stamping, Central European and the Western Front maps to each end paper. 25 photographs, 8 maps. In Very Good clean, square, tight and tidy condition. Member of the P.B.F.A. Published by Schiffer Publishing Ltd., 4880 Lower Valley Road, Atglen, Pennsylvania, USA First Edition 2000. 2000. Published by The Macmillan Company, New York, First Edition 1917. 1917. First edition hard back binding in publisher's original quarter navy cloth covers, paper title and author lettering label to the spine and to the front cover, blue paper covered boards. 8vo. 8'' x 5½''. Contains [xvi] 196 printed pages of text plus 6 pages of advertisements and with 8 single-sided monochrome photographs. 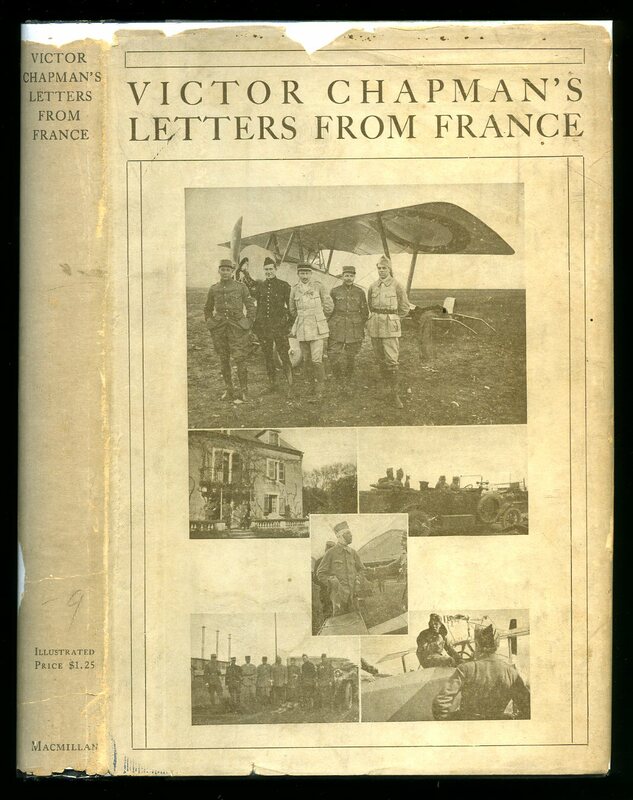 Chapman joined the French Foreign Legion in 1914 and became a pilot with the Franco-American Flying Corps in 1915. He was killed at Verdun on June 23 1916. 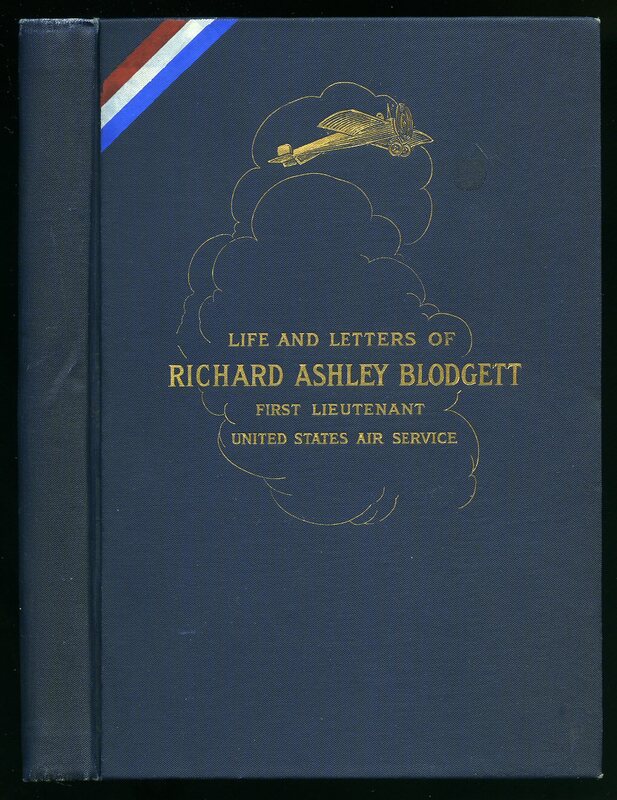 This is a collection of his letters from 26, September 1914. Fine condition book in extremely rare Very Good condition dust wrapper with chips across to the edge, priced $1.25. Dust wrapper supplied in archive acetate film protection, it does not adhere to the book or to the dust wrapper. Member of the P.B.F.A. Published by Houghton Mifflin Company, Boston and New York First Edition 1918. 1918. 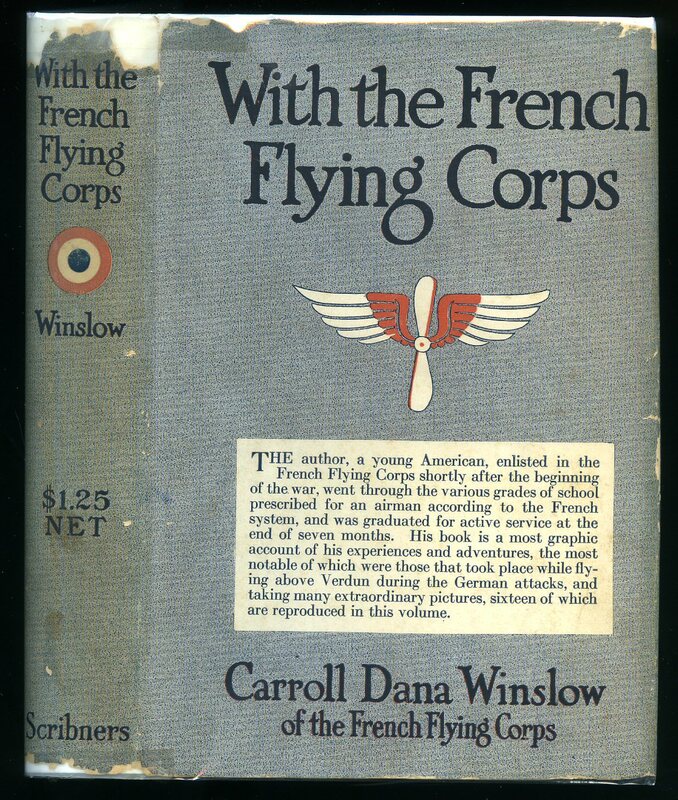 First edition hard back binding in publisher's original burgundy cloth covers, black title and author lettering to the spine and to the front cover along with an eagle insignia. 8vo. 7½'' x 5¼''. 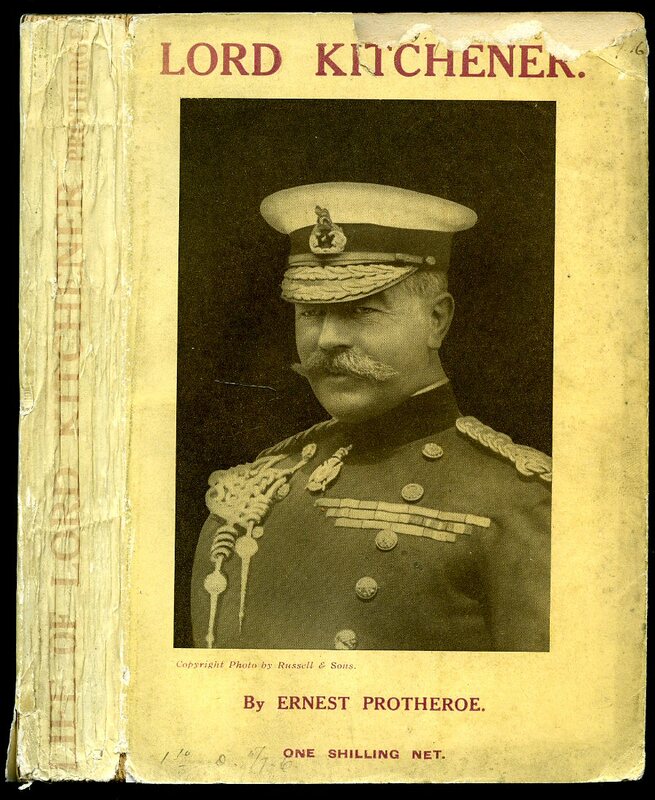 Contains [xxiii] 237 printed pages of text with tissue-guarded frontispiece titled 'Captain Guynemer, The Ace of Aces', many single-sided monochrome photographs throughout. Fine condition book in fragile Good condition dust wrapper with 20 mm piece of paper missing to the top of the spine, small chips to the edges. Dust wrapper supplied in archive acetate film protection, it does not adhere to the book or to the dust wrapper. Member of the P.B.F.A. Published by Princeton University Press, Princeton, First Edition 1918. 1918. First edition hard back binding in publisher's original light blue cloth covers, black title lettering to the spine and to the front cover. 8vo. 8'' x 5½''. Contains [v] 93 printed pages of text with monochrome frontispiece and two further black and white photographs. 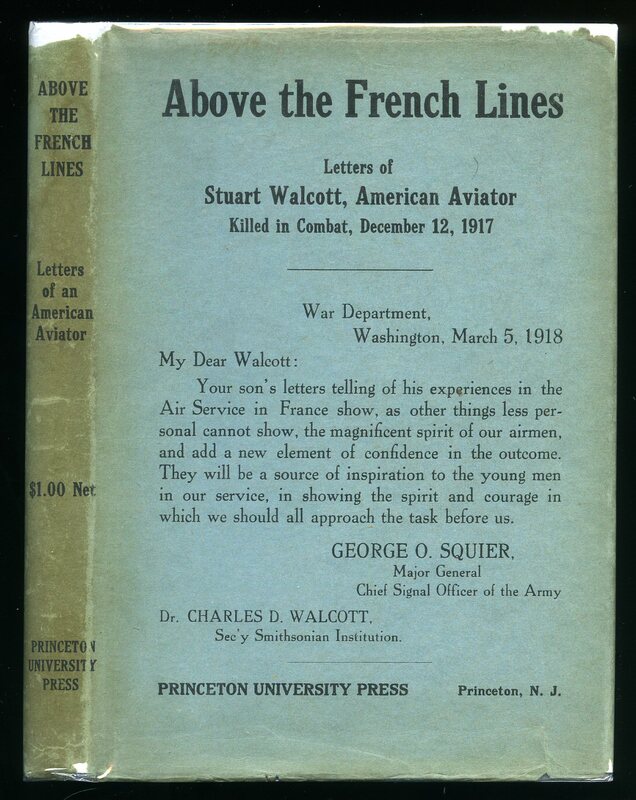 A compilation of letters from Stuart Walcot, a Princeton University graduate, while he was serving in World War I in the Lafayette Escadrille. Fine condition book in Very Good condition dust wrapper with a chip to the top of the spine and small pieces of paper missing to the top corners, thin stain to the top of the rear cover. Dust wrapper supplied in archive acetate film protection, it does not adhere to the book or to the dust wrapper. Member of the P.B.F.A. 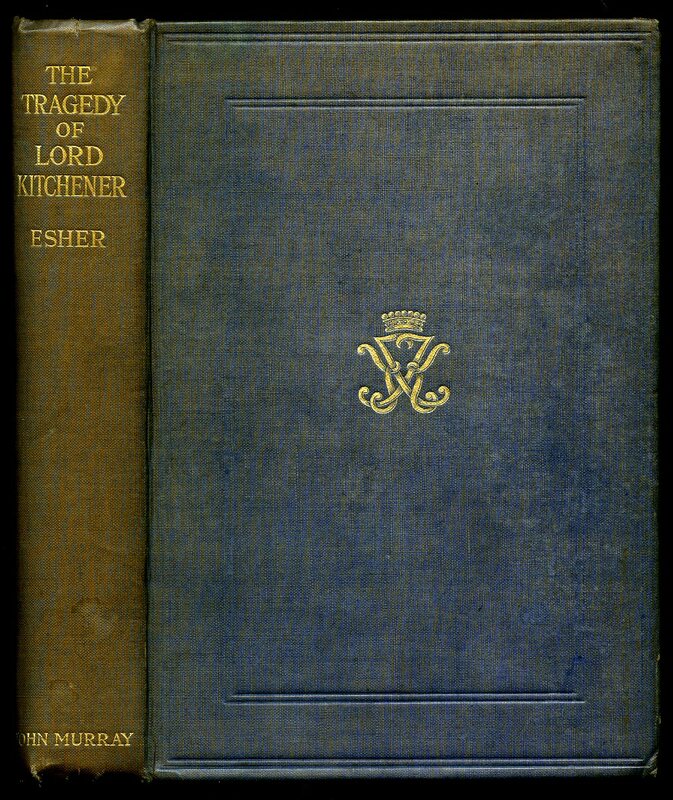 Published by Charles Scribner's Sons, Fifth Avenue, New York USA First Edition 1917. 1917. 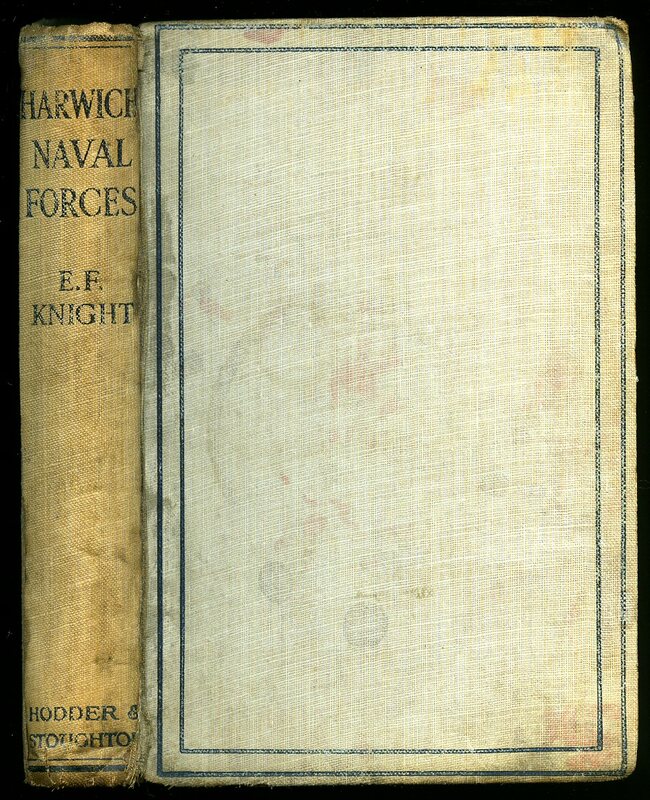 First edition hard back binding in publisher's original steel blue cloth covers, navy title, author lettering and silver and red insignia to the spine and to the front cover. 8vo. 7½'' x 5¼''. Contains [x] 226 printed pages of text with tissue-guarded frontispiece and single-sided monochrome photographs throughout. 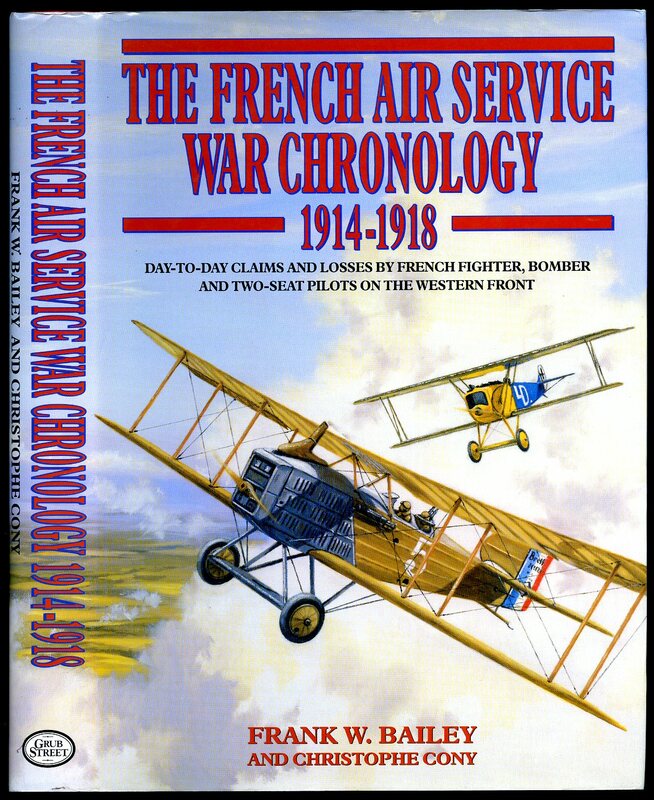 The story of the author's experience with the French Aviation Service in World War One. Fine condition book in extremely rare near Very Good condition dust wrapper with external tape repairs across the spine ends, small chips to the corners, priced $1.25. Dust wrapper supplied in archive acetate film protection, it does not adhere to the book or to the dust wrapper. Member of the P.B.F.A. Published and Printed By MacDonald & Evans, Boston, Massachusetts First Edition not dated. 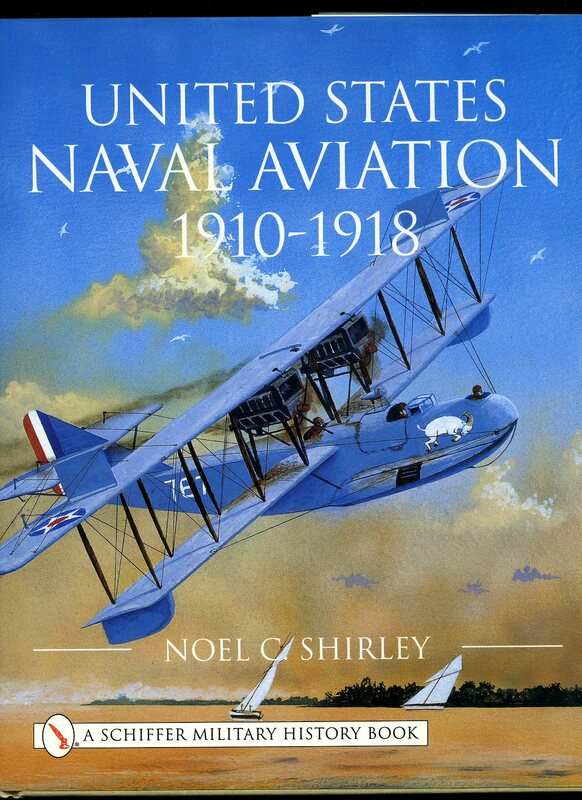 First edition hard back binding in publisher's original navy cloth boards with gilt lettering and illustration of an airplane above the clouds, red, white and blue stripes to the top left corner. 8vo. 7½'' x 5¼''. Contains 181 printed pages of text with tissue-guarded photograph and 6 other single-sided monochrome photographs throughout. Richard joined the American Field Service, May 5, 1917 and was attached to Transport Section 526 on September 5, 1917. Enlisted with the U. S. Aviation and trained in France. He was commissioned First Lieutenant in December and attached to the 95th Aero Squadron, he was killed in action on May 17, 1918, near Toul, a department in north-eastern France. He is buried in the American Cemetery, Thiaucourt, Meurthe-et-Moselle. Ink name to the top of the front free end paper and in Fine condition. Member of the P.B.F.A. Published by Grub Street, 10 Chivalry Road, London First Edition 2001. 2001. Published by Charles H. Kelly, London First edition 1916. 1916. First edition paper wraps with photograph to upper panel. 336 pp. Light foxing to page edges and end papers, small chip 70 mm x 5 mm to top upper panel, titles to spine faded. Member of the P.B.F.A. 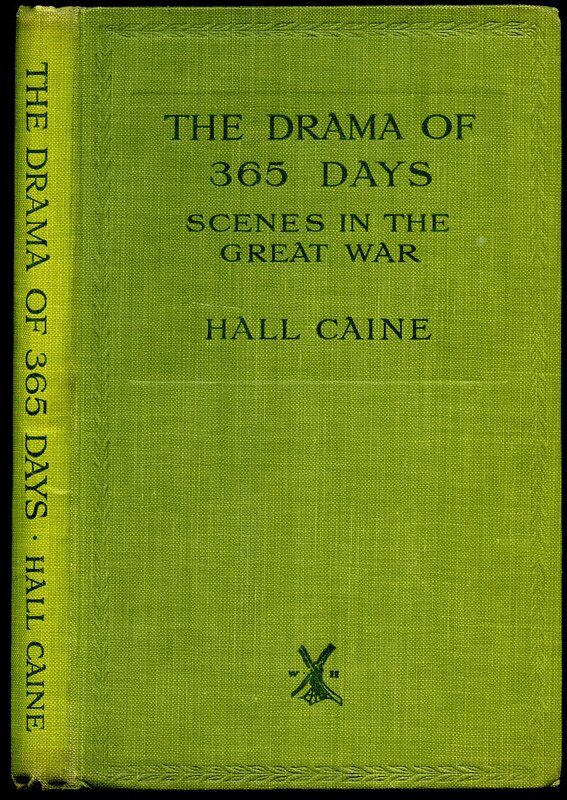 Published by Methuen & Co. Ltd., 36 Essex Street, Strand, London First Edition 1916. 1916. First edition hard back blue cloth covers. xv, 302, 31 pp. 3 illustrations. Light fox spotting to page edges and title page, spine tanned, no dust wrapper. Member of the P.B.F.A. Published by William Heinemann Limited, London First Edition 1915. 1915. First edition hard back sage green cloth covers with dark green titles. 127 pp. Portrait of H.R.H. The Prince of Wales to frontispiece. Book with page edges tanned, in square condition and without any rubs or marks to the cloth, no dust wrapper. Member of the P.B.F.A. 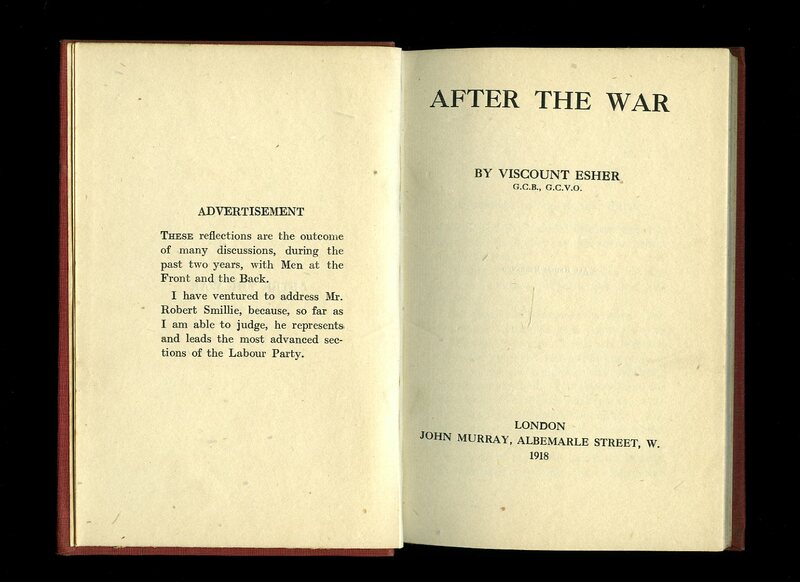 Published by John Murray, 50 Albemarle Street, London First edition 1918. 1918. First edition hard back raspberry cloth covers with oxidised gilt titles. xiv, 78 pp. Spine slightly faded, without any foxing and in Very Good condition, no dust wrapper. Scarce. Member of the P.B.F.A. 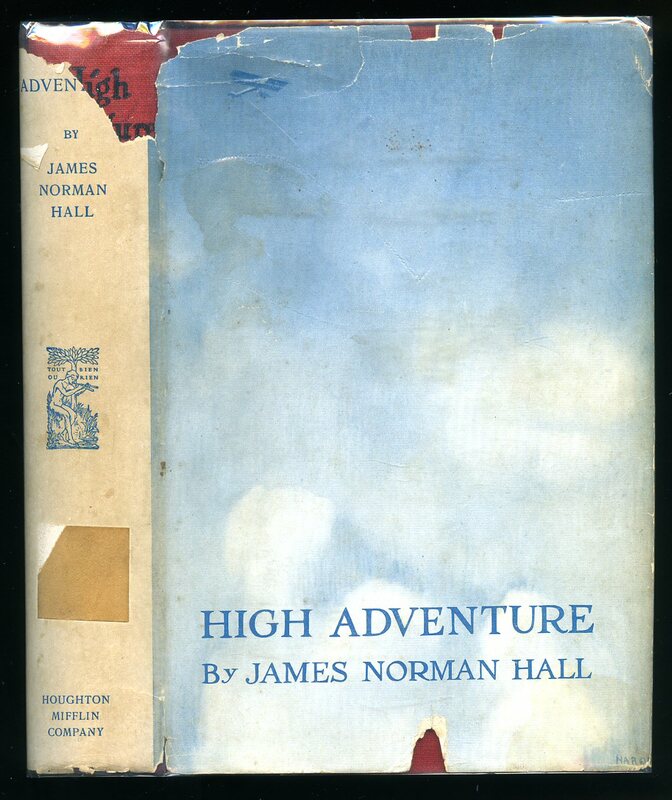 Published by John Murray, 50 Albemarle Street, London First edition 1921. 1921. First edition hard back blue cloth covers with gilt titles and vignette to front panel. xvi, 219 pp. Frontispiece, sketch of Lord K missing from page 130. Light spotting to end paper, spine tanned, no dust wrapper. Member of the P.B.F.A. Published by John Murray, London 1921 reprinted edition. 1921. Hard back slate blue cloth covers with gilt titles and vignette to front panel. xvl, 219 pp. Frontispiece and one other illustration. Offsetting to end papers, crackling to top of upper and lower joints, one bottom corner rubbed. Member of the P.B.F.A.